This was the white wine that my mate ‘Mr Tormay‘ ordered for dinner. If you recall, he is an avid Sauvignon Blanc fan but they ran out so he was forced to switch varietals at the Cajun/Korean fusion restaurant last night. I got a taste as he shared the bottle with Moxie, another white wine fiend. 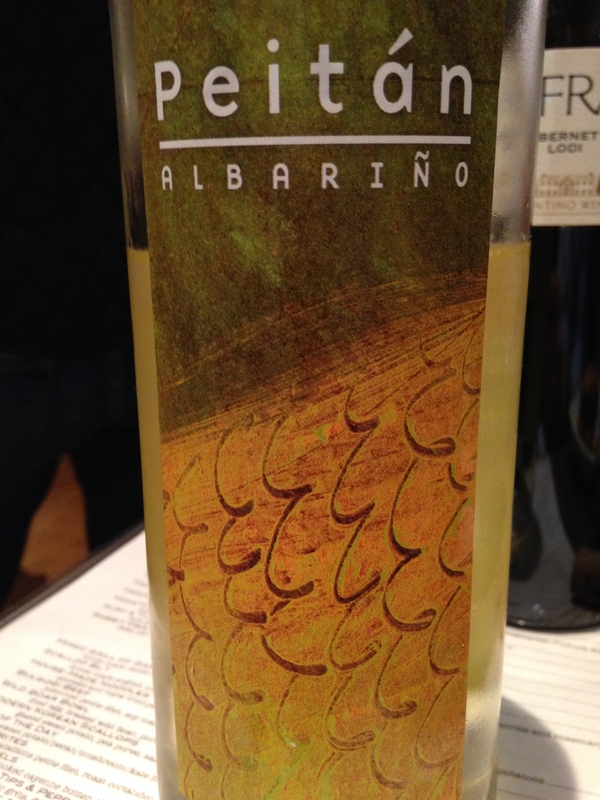 Albarino is from northern Spain and is a highly aromatic wine, which goes against his strict taste profile. I understood why after a few sips. Yes, it is aromatic, but it has some cutting acidity and lacks the cloying sweetness found in other similar wines. The nose offered melons, some Bosc pear and a hint of lemon. The flavors of honeysuckle and peach also came through on the mid palate in addition to the pear and citrus. A very interesting grape that I found to be quite multidimensional and easy to drink. I would put this wine up with some grilled sardines any day. A summer salad with a chilled bottle- awesome. I’m going with 89 points and will be on the lookout for this $12 bottle. 4 stars for its QPR and interest factor. Salut….